Tatkal Passport is a fast track passport issue or re-issue facility especially provided when any one needs the passport urgently. 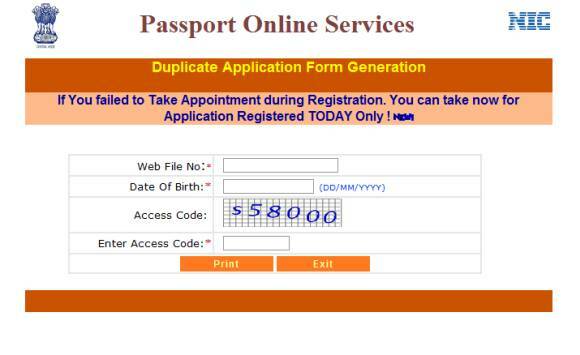 Anyone can apply for fast track passport in case of genuine reason for urgency. This scheme issues or re-issues passports immediately on payment of additional fees around Rs. 3500 to 4000. Post police verification is carried out in such applications. Applicant also needs to appear before the officer at regional passport office. This post will guide you to application procedure of immediate passport. We have also listed all the documents required for Tatkal passport. The procedure varies slightly from the application for normal passport. Note: According to new law made in January 2016, police verification is done post passport issue in all the cases. Thanks to BJP and Sushma Swaraj, the new law has made passport issuing breeze. You passport will be dispatched by authorities within one working day if the police verification is not required. If post passport issuance police verification is required, your passport will be dispatched on the third working day. Though there will be post police verification, your passport will be dispatched without waiting for the police verification report. Check out the complete procedure on applying for Out of Turn Issue of Passport under Tatkal passport scheme below in our next section. Visit your RPO or Passport Seva Kendra as per fixed appointment with print out of receipt. Also carry all documents in original and self-attested photo copies. Proof of urgency is not required for Out of Turn Issue of Passport. We also recommend carrying other supporting documents besides above basic ones. This facility provides a valuable service if you need to travel abroad all of a sudden. Appointment in case of urgent passport is available for next day or within 1-2 days. Tatkal passport scheme is introduced to issue passports on expedite basis within 1-3 working days. You can also check the documents required for normal passport at our separate post. Once you submit your application, track passport status online. Visit our site for information on any procedure and documents related to this essential document. In case of any query do let us know via comment section below or contact us form. Someone from our team will get back to you with an appropriate answer. Suppose I will be travelling abroad after two months, so can I apply for tatkal service. Or how many days prior to visiting abroad tatkal service is applicable? Kindly do let me know. Thank you. Hi, Is it possible to have one login for 4 passport applications to be made at the same time?